Tabletopia is now free-to-play with in-apps available in Steam and monthly plans available in the browser version. 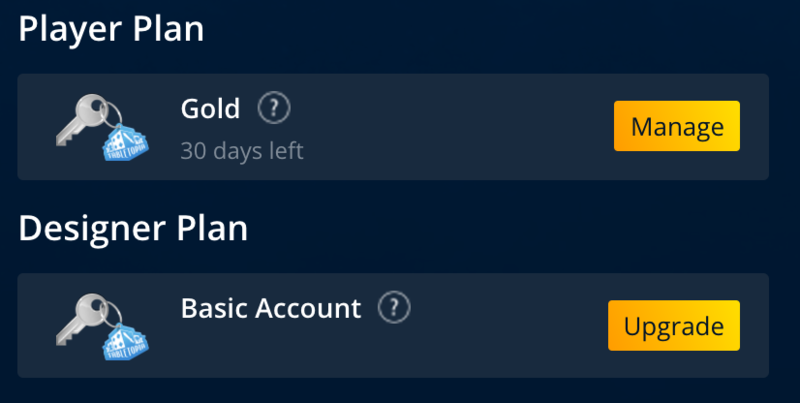 In-app purchases are basically short-term Premiums that you buy in Steam once to receive full premium access for a specified period of time: 3, 7, or 30 days. Once your Premium expires, you are switched back to the free account. In-apps are available in Steam version only, but will work in browser as well, since Premium is associated with your account, not platform. 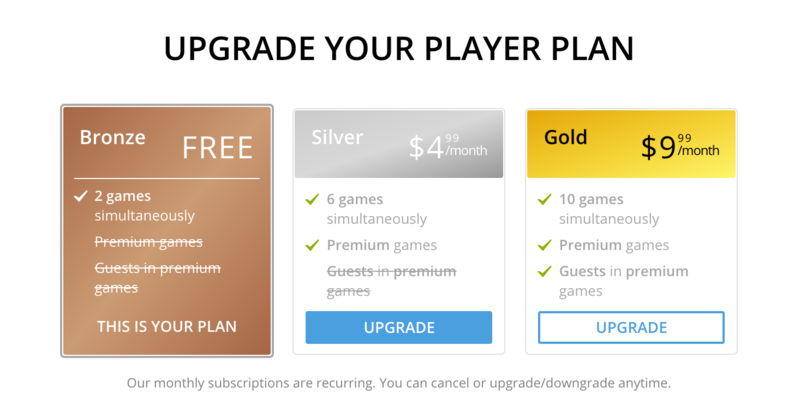 It does not matter where you purchase your Premium (or Silver/Gold plan): in Steam or in browser. You will have access to premium features on both platforms. 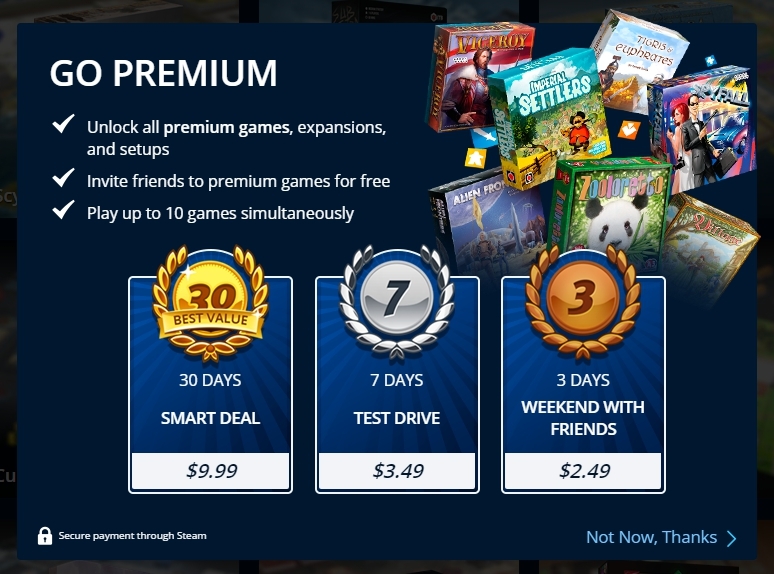 Premium features in Steam will correspond to those of the former Gold plan. The Silver plan will be available for purchase through browser version only. Basically, no matter which player/designer plan you purchase, you will get access to two plans: one player and one designer, since the free Bronze (player) and Basic (designer) plans are available to all and to have them you only need to create a Tabletopia account. For example, when purchasing the Silver player plan you get the the Basic designer plan automatically. Or when creating a free account, you get Bronze ad Basic plans for free. To see your current player and designer plans, go to your Profile on Tabletopia. To see details of each of your plans, hover the cursor over the “?” next to the plan name. You will get full information on the features you have now for the plan you select. You can upgrade or downgrade your plan at any moment. Go to your Profile on tabletopia.com or in Steam. Click Upgrade/Manage next to the plan name. A window will appear where you will be able to switch to the basic plan to cancel your subscription or upgrade to a premium plan and proceed to the payment form. Note that if you cancel your subscription, you will keep the remaining premium time. 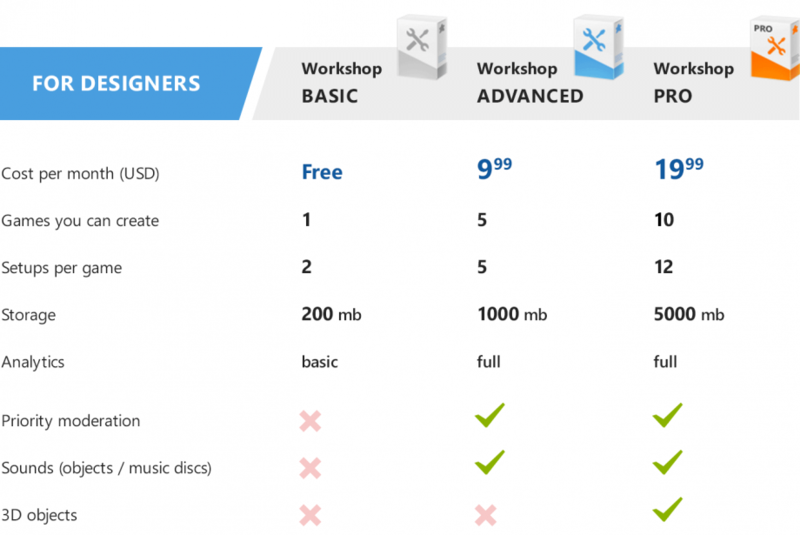 For designer plans, your games will remain on the platform even after your premium expires. Your subscription will simply not renew for the next month. Player and designer plans give access to various Playground and Workshop features and options respectively. And if you don’t have enough time to import your game, Tabletopia team can help you with that, see How to Import Your Game with Help of Tabletopia Team.